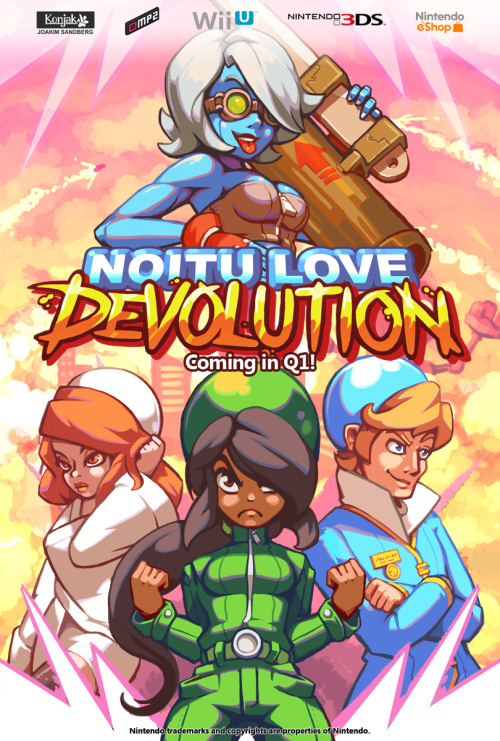 Back in 2010, we reported on the news that Noitu Love 2 was headed to WiiWare, but issues relating to the publisher meant it never happened. Thankfully, the title is being resurrected for the 3DS and Wii U eShops, and will be available in Q1 2016. Originally released on PC in 2008, the game uses a mouse-based control system which would have transferred to the Wii quite successfully, thanks to its Wiimote pointer. The 3DS version will get touch control, while the Wii U edition will have touch and pointer input. MP2 Games - the studio behind the Nintendo ports of Knytt Underground and Angry Video Game Nerd Adventures - is handling the conversion. Original developer Joakim "Konjak" Sandberg has stated that the aim is to bring the game to as many regions as possible. As a big fan of explosions I imagine that I'll be playing this. 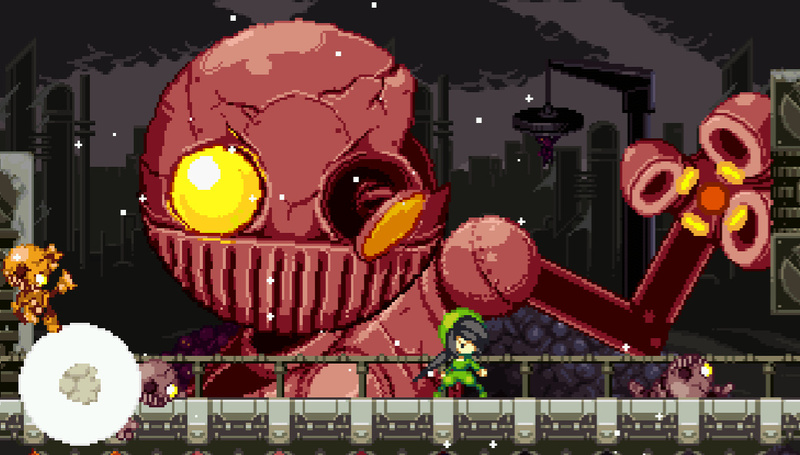 Looks like it took a bit of inspiration from Gunstar Heroes, which is only a good thing. Looking forward to playing it in three years when it's number gets called up from my backlog. I will definitely be getting this. Konjak's pixel work is just gorgeous and I really enjoyed playing it on the PC, I wonder how the touch controls will feel. I hope whenever The Iconoclasts comes out it's on the Wii U.
I waited ages for this. Definitely a pickup. Color me intrigued. Really liking the art style and look of this. I am SO excited! Been wishing this for a long time! This is a very solid game on PC and should move over to pointer controls flawlessly. Looks nice definitely will keep an eye on this game. Looks good. Hope I enjoy it when I get it, because I get a lot of eshop games. This is the kind of story I like. Game doesnt work out, then dev comes back at the perfect time during next gen and puts the game out anyway instead of just forgetting it for a new one. Really interested. Glad to hear pointer controls are included because that's what I'll be using. Oh! I love this game! I'd love to try it with some 3D! If it's only playable with touch andpointer controls, I'll pass. @Drac_Mazoku agreed, definitely day one for me too! I remember buying this game on Steam and absolutely loving it. I guess it's time for me to rebuy it. From this trailer, the gameplay looks extremely fun, but the graphics look a little dated. Not a problem at all for me, but I wonder if some others will find the look of Treasure's GBA output as appealing as something like Mighty Switch Force or Freedom Planet, especially considering the Wii U version. Looks pretty cool! The art style intrigues me as well. I'll definitely be giving this a look once it is released. yes finally! heres hoping to use the pro controller.